Luke is the immediate past Chief Executive Officer of Old Mutual Zimbabwe, a position he held for seven years until June 2013. Luke holds an MBA from the University of Cape Town, Graduate School of Business. 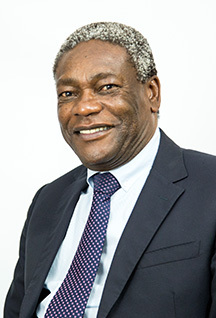 He is currently the CEO of ZimSelector.com and Executive Chairman of Standard Telephones and Cables, He also maintains interests in several Zimbabwean concerns. Luke has broad experience in investments for numerous large projects. He now sits on a number of blue chip boards in Africa and is a member of the World Economic Forum Africa Chapter.